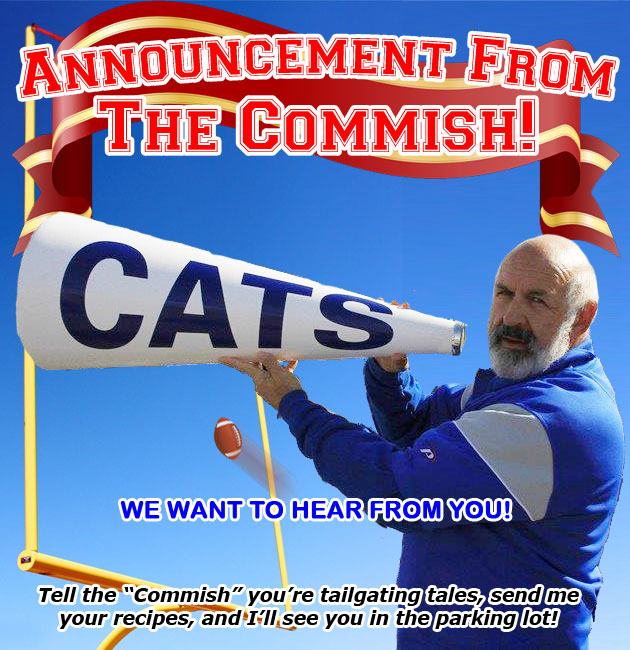 As the Commish travels the county in support of the great American Tailgaters we are always looking for fan input or Tales From The Parking Lot, Recipes', the best Tailgating Products, or simply the best Universities to feature on our site for all to share and have a good time. Reach out and collaborate with the Commish as he would love to hear from you. Send in your tailgating recipes, photo's, and share your thoughts about tailgating. If you hav an article of interest, or your PhD thesis, or some other special event that you would like to share, Joe Cahn would love to hear about it. It's football season after all!